It takes just a day to complete the workshop, under the expert guidance of award-winning jeweller and jewellery tutor Rebecca Steiner. Students spend the morning making practice rings in silver, to the exact size and dimensions of the real rings. This session provides an opportunity to try out all of the techniques and to practice using the jewellery tools, as well as a chance to try the rings and make any necessary adjustments for a perfect fit. After lunch, it's time for the real deal. Precious metal is milled, formed, adjusted, soldered and polished to create beautiful wedding bands with a truly professional finish. Liz and Emma made their rings in the beautiful setting of the Red Barn in Lingfield. Wedding bands are the lasting commemoration of your special day, a solid and warm reminder of your lives together and a lifelong symbol of commitment. With the Mobile Jewellery Workshop, you can be taught to hand-craft your own wedding bands, so that you can each wear a ring made by your loved one. For traditional wedding bands, the day runs from 10:30 - 4:40, with a 30min lunch break. More complicated designs may require a longer day, or longer sessions over two days. This will be discussed during the consultation. What if I mess it up?! Don't worry! You will be guided through the process from start to finish by your tutor, who is on hand to make sure the day goes smoothly. Rebecca has taught jewellery classes since 2009, with a 100% happy-couple-success rate! Read some testimonials here. The initial consultation is £50, and a one-day session is £425. Materials costs will vary depending on the metal and design of the rings, however this works out significantly cheaper than buying ready-finished wedding bands. 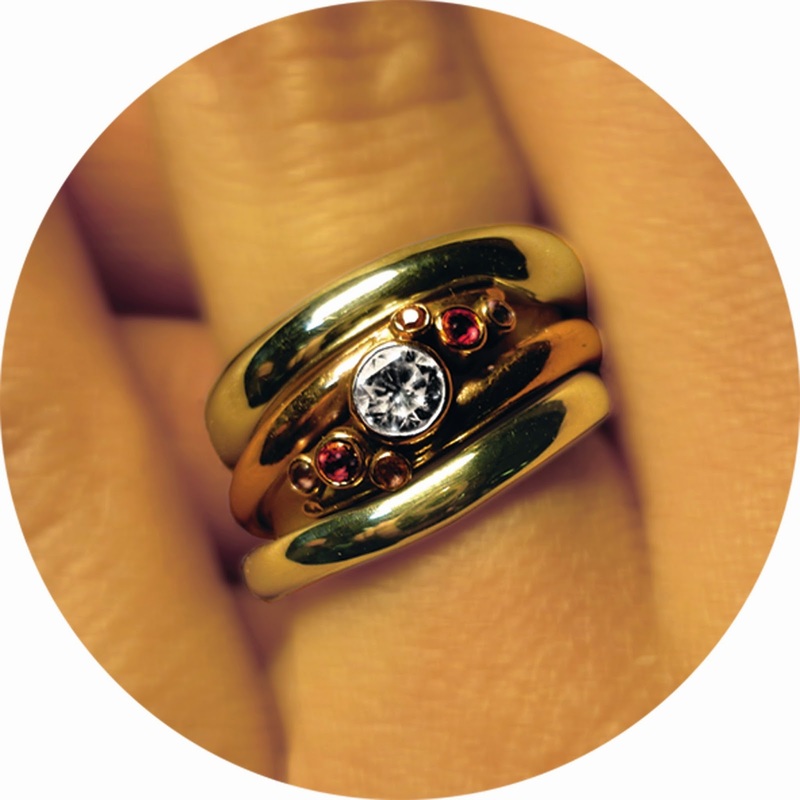 An average cost would be around £250 for enough metal for two gold wedding bands. We are mobile! Our workshop is a fully-equipped, solar-powered studio-on-wheels. This enables us to come to a location convenient to you. You will need to email us to arrange a consultation. You will then meet with the tutor to discuss your designs and to take measurements for your rings, as well as finding a convenient date for the workshop.